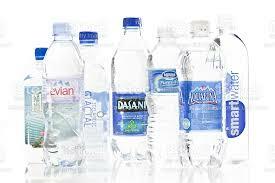 Waterwise Wednesday: Bottled from Where? Bottled waters seem to flow from all sorts of exotic places like arctic glaciers, hidden bubbling springs and the tropical waters of Fiji. The US Food and Drug Adminstration (FDA) identifies water sources to help consumers determine the source of their bottled water. Artesian water, groundwater, spring water and well water all come from an underground aquifer which may or may not be treated. Well water and artesian water are tapped through a well. Spring water is collected as it flows to the surface or via a borehole. Ground water can be either tapped by well or captured at the surface source. Bottled water may also come from a public water source (municipal water) and may be identified as coming from a community water system.